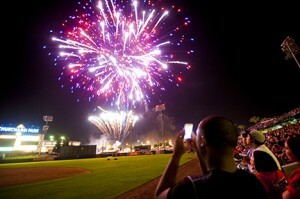 FRESNO -More than 10,000 fans crowded Chukchansi Park last night for the Fresno Grizzlies Independence Day Fireworks Extravaganza, which was also the start of a seven-game homestand. 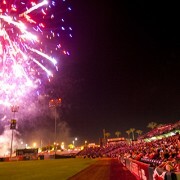 Despite the large crowd, the Grizzlies lost to the Sacramento River Cats with a score of 1-0. The Grizzlies will face the River Cats three more times before starting a three-game set against the Reno Aces on Monday.